After an offseason full of roster movement, speculation, and off-field drama, NFL fans around the world have been chomping at the bit to see their favorite teams on the field. While it was nothing more than the first week of the league’s preseason schedule, it was still exciting to see NFL football for the first time since Super Bowl XLIX in February. With that being said, we have to take everything we saw during the first week of preseason action with a grain of salt. Several of the game’s best players were held out of action, and others played only one or two series. Nonetheless, there were quite a few noteworthy performances. Here is a look at the five biggest takeaways from Week 1 of the 2015 NFL preseason. 1. Not much has changed with Tim Tebow. Some things never change. 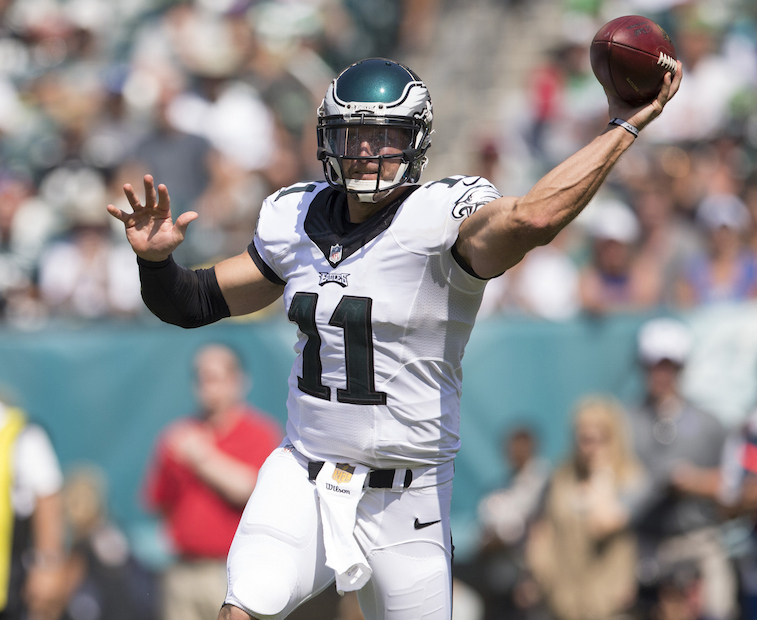 Tebow, who is arguably the most polarizing athlete of the last decade, was greeted with a standing ovation from the home crowd when he entered the Philadelphia Eagles’ preseason game against the Indianapolis Colts on Sunday at Lincoln Financial Field. The warm reception for Tebow wasn’t all that surprising seeing as how the 2007 Heisman Trophy winner is likely to be the only third-string quarterback in league history to get more face time on ESPN and the NFL Network during training camp than the reigning league MVP. On the field, it was more of the same from Tebow. While it did appear that he has improved his much-maligned throwing release, he was still erratic as a passer. He ultimately completed six of 12 passes for 69 yards with no touchdowns and no interceptions. His best moment of the day came on another vintage-Tebow play. On a zone-read from the Colts’ seven yard-line, the 28-year-old quarterback outran the Indianapolis defense and dove into the end zone for the Eagles’ fourth touchdown of the day. All said, Tebow looked like the exact same player he was with the Denver Broncos and New York Jets. 2. 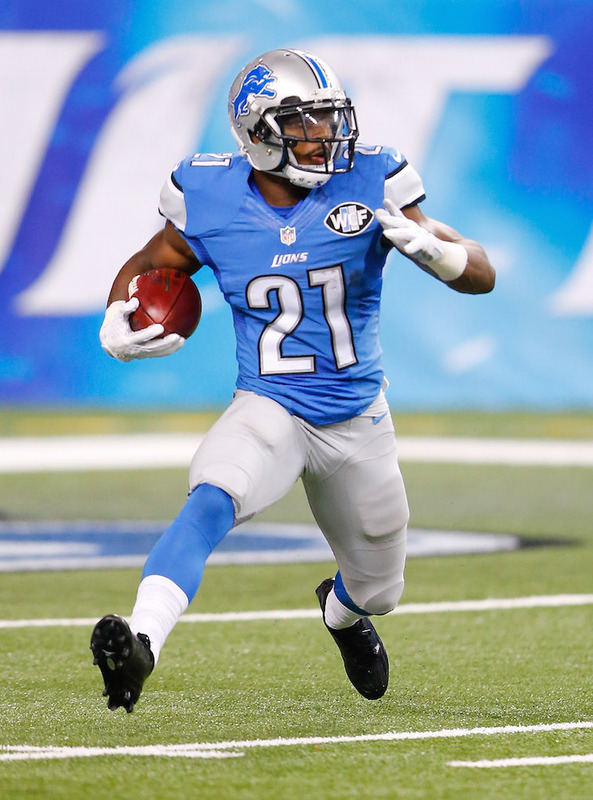 The Detroit Lions may have found their running back in Ameer Abdullah. The Lions selected Abdullah in the second round of the 2015 NFL Draft, and by all accounts, it looks like the team made an excellent choice. In his first game as a pro, the former Nebraska Cornhusker rushed for 67 yards on seven carries, including this explosive 45-yard scamper, and drew rave reviews from his teammates and New York Jets head coach Todd Bowles. That’s lofty praise for a player who has just one preseason game under his belt, but it’s hard to ignore how incredibly explosive Abdullah looked in his first live NFL action. 3. Former Australian rugby player Jarryd Hayne may actually have a future in the NFL. 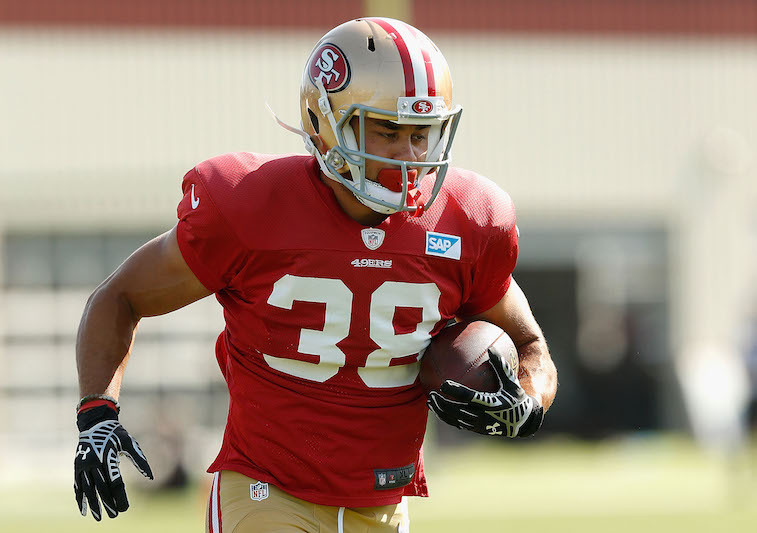 Most people had written Hayne off as another novelty act attempting to make it in the NFL giving him a very slim chance at earning a spot on the San Francisco 49ers’ active roster. After the 49ers’ first preseason game last Saturday, it became clear that Hayne is not only a serious threat to make San Francisco’s 53-man roster, but he also has the ability to be a game-changer for a team that is in desperate need of playmakers. He carried the ball five times for 63 yards, returned two punts for 24 yards, and returned one kickoff for 33 yards. What was even more impressive and telling and telling about his standing with the 49ers was the fact that he spent a lot of time working with the team’s starters. 4. 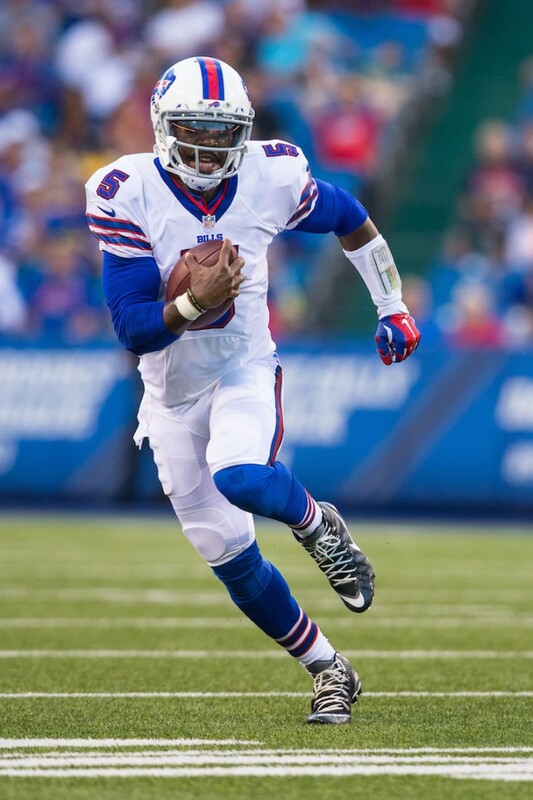 Tyrod Taylor may have pulled ahead in the battle to be the Buffalo Bills’ starting quarterback. The three-man quarterback competition in Buffalo appears to have been narrowed down to Taylor and veteran Matt Cassell with E.J. Manuel on the outside looking in. In the team’s first preseason game, Cassell started and turned in a performance that was pretty much par for the course for the 33-year-old signal caller, completing seven out of eight passes for 45 yards with no touchdowns or interceptions. Taylor produced similar numbers, going five for eight through the air for 49 yards but also added 47 yards on the ground on six carries. The added dimension that Taylor’s mobility brings to the table may be enough to give him the advantage over Cassell going forward. Bills head coach Rex Ryan announced that Taylor will start the team’s next preseason game and with another strong performance the former Virginia Tech Hokie could lock up the starting job for Buffalo in their Week 1 game against the Indianapolis Colts. 5. 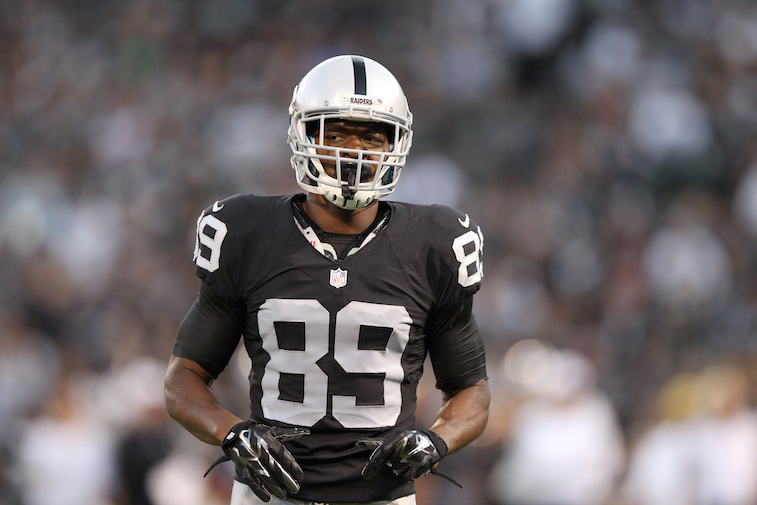 Amari Cooper is our early front-runner for NFL Offensive Rookie of the Year. You may think we are crazy for saying this given the fact that Cooper had just three receptions for 22 yards in his first NFL preseason game. However, anyone who watched the Raiders’ first two offensive series against the St. Louis Rams on Friday night cannot deny that Cooper is going to be a huge part of the Oakland offense in 2015. In those two series, Cooper was targeted four times through the air and had one rushing attempt. What was even clearer was Cooper’s rapport with second-year quarterback Derek Carr. By the looks of it, Carr and Cooper could emerge as one of the top quarterback-wide receiver combinations in the league for years to come.